Microsoft’s Windows App store, a key component of its Windows 8 operating system has delivered hundreds of millions of application downloads to users, according to the company, and is “approaching” 100,000 applications. As with any new platform, Microsoft has worked to ensure that its growing Windows 8 userbase has a well-stocked application store; however, the company has struggled in the face of established app stores such as those provided in the iOS and Android mobile platforms. Windows has yet to cross the 100,000 application mark, but once it does, it will enjoy a small victory. Crossing the mark will provide Microsoft with a number of positive headlines, and prove that the company has managed to attract meaningful developer interest in its new operating system and software distribution outlet. However, it remains a mere figure; Windows 8 will not be materially better than when it sported 99,000 applications, be at a deficit compared to when it has 101,000. Microsoft is insistent on providing an equitable developer environment, to to entice developers into building and coding for Windows 8. It stated in a small briefing the day before its Build developer conference kicked off in San Francisco that its approval process for Windows 8 applications lasts and average of 2.2 days. In conjunction with the pending Windows 8.1 update, Microsoft currently in the process of implementing the following additions to Windows store, all with the intention of courting developers. Improved analytics regarding usage, ratings, and views. 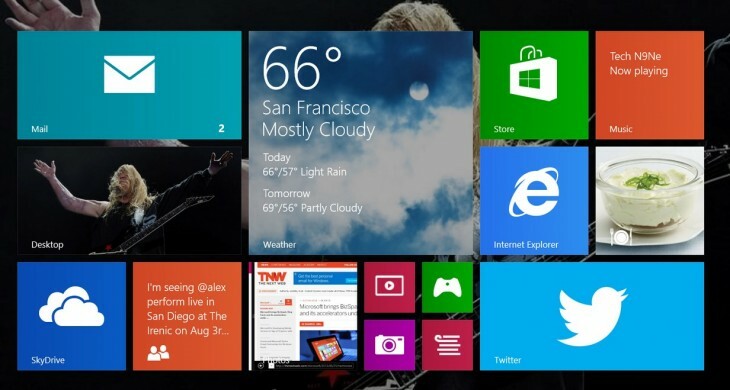 In addition, Microsoft has simplified and revamped its Windows Store user interface. It’s a simple fact: an application store that is difficult to use is an application store that will see constrained usage, and Microsoft is working to streamline the Store’s user experience in order to please both developers and consumers. The Windows store refresh includes new user interface paths that incorporate swipe functionality, and also allow for Microsoft to more deftly curate content, thereby allowing for a less confusing experience for the casual user. The Windows Store was never one of Windows 8’s most beautiful experiences, making this upgrade long-awaited. It’s a simple fact: an application store that is difficult to use is an application store that will see constrained usage. That Microsoft has managed to rack up app downloads in the 9 figures is testament to the scale of Windows 8 – north of 100 million licences sold – and highlights what the Windows Store could become once fully stocked with AAA applications, and has its user interface in order. Microsoft is straining to encourage third-party developer input, in hopes of turning Windows 8 into a top-tier platform for developers. It’s new work ought to go far to help.